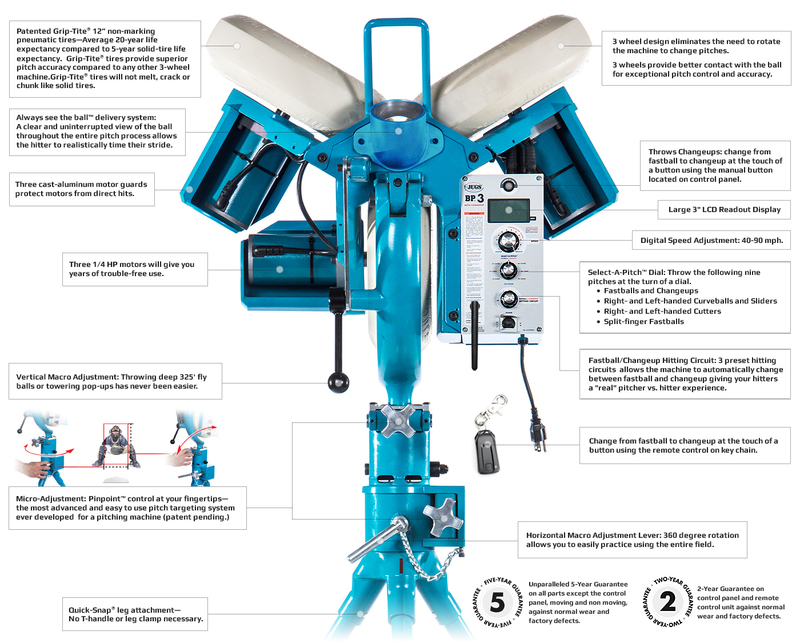 This is as close as a machine can get to a live pitcher—A state-of-the-art 3-wheel machine that can go from fastballs to changeups without the hitter knowing it, throws 9 different pitches. Throws changeups using the remote control on key chain or manual button located on control panel. 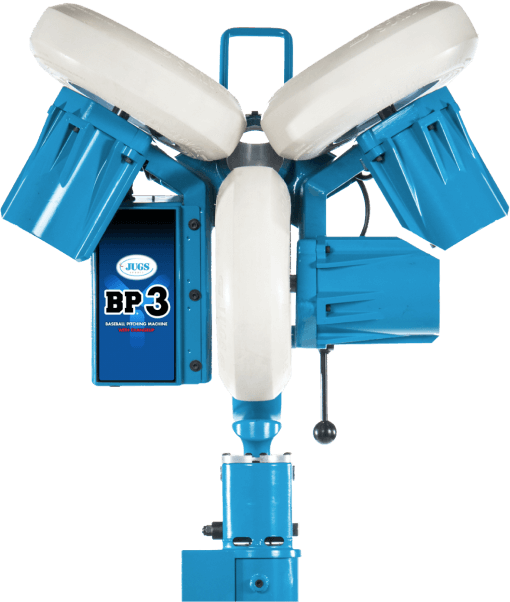 The BP®3 has a large 3" LCD display. You to set the digital speed you desire by simply turning a knob. 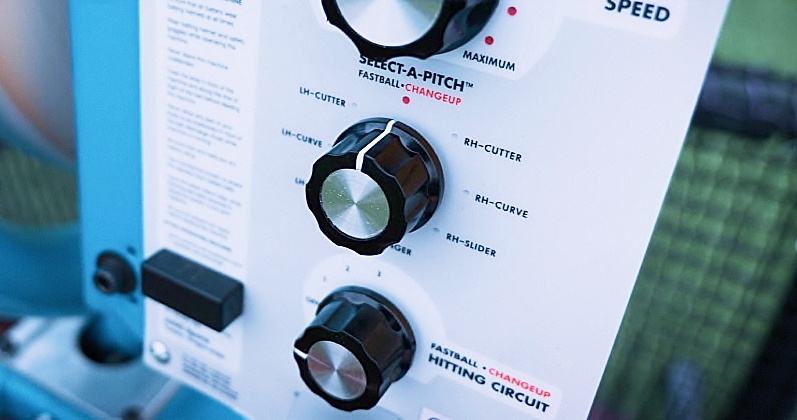 Fastball/Changeup Hitting Circuit: 3 preset hitting circuits allows the machine to automatically change between fastball and changeup giving your hitters a "real" pitcher vs. hitter experience. Throws these ball types: Throws baseballs, the JUGS Pearl®, JUGS Sting-Free® baseballs—dimpled and seam, JUGS Lite-Flite® and SOFTIE® baseballs, and JUGS BULLDOG™ baseballs. Fastballs and changeups, right and left-handed curveballs and sliders, right and left-handed cutters and split-finger fastballs. 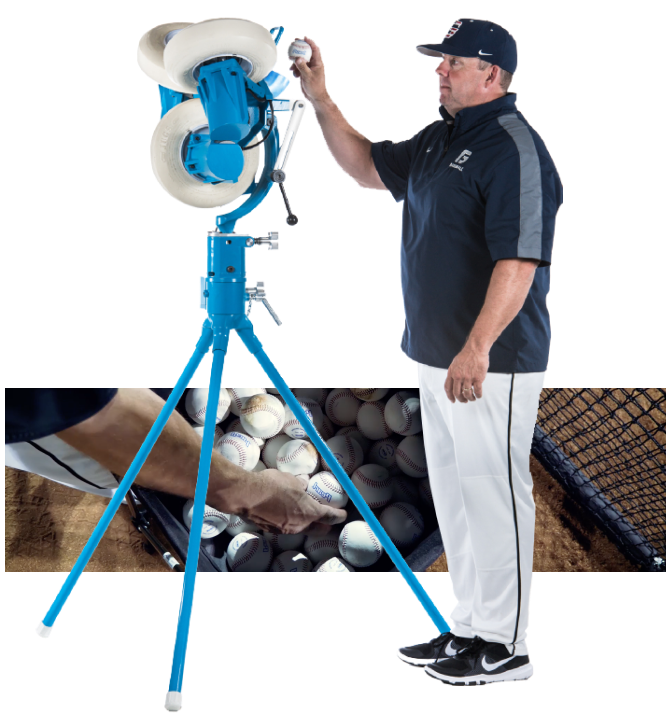 I encourage coaches to definitely get their hands on one of these machines. I’m sure it’s going to help your player’s game – Big Time! Don’t just take our word for it. Hear from future Hall of Famer and World Champion Albert Pujols, NCAA D1 Baseball Champions, Pat Casey and George Horton, and Oregon's winningest high school baseball coach, Dave Gasser. 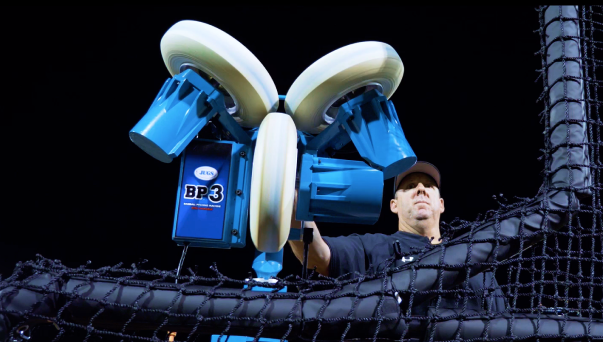 Be sure to check out all 5 videos featuring the JUGS BP®3. This machine is amazing. They fixed complaint I had with a two wheel machine. Switching to a curve ball, or splitter is easy. Small adjustments to the aim can be done easily. The "change up" ability is good. Batters now don't know it's coming, jus like in a real game.